"Our condolences to the Corbin Family upon the loss of Ms..."
"Such a sweet lady. Grew up with her and her family at..."
"Such a sweet lady, she was always Aunt Inez to me. 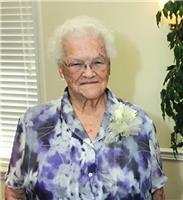 It was..."
Hattie Inez Corbin, age 85 of Cottondale, went home to be with the Lord on January 27, 2019 at Northwest Florida Community Hospital in Chipley, Florida. Mrs. Inez was born on September 4, 1933 in Vernon, Florida to Author and Annie Mae (Weeks) Cook. She was a graduate of Vernon High School and a lifelong resident of the Florida Panhandle. She will be remembered as a wonderful caregiver and loving mother, but most of all as a Godly woman. She was a member of Sapp Holiness Church in Cottondale, Florida. She was preceded in death by her parents; husband: Willie Lee Corbin Sr.; three brothers: Ernest Cook, Pleasy Cook, Wilson Cook; four sisters: Ella Mae Corbin, Margie Pippin, Tina Pippin, Isetta Coatney.